Home » Blog » Fathers » Fatherhood Series – What Am I Supposed To Be Doing Again? I have had many titles in my life – Husband, Father, Grandfather, Pastor, Doctor, Teacher, to one friend of mine, Philosopher. I have been a CFP, CFO, CEO, CSO, Salesman, District Manager, Author, Elder, Deacon, and I suppose several others that have long been forgotten. The one title, next to being a husband that I cherish the most, is father. Father is the same title that God used to identify Himself to His creation. 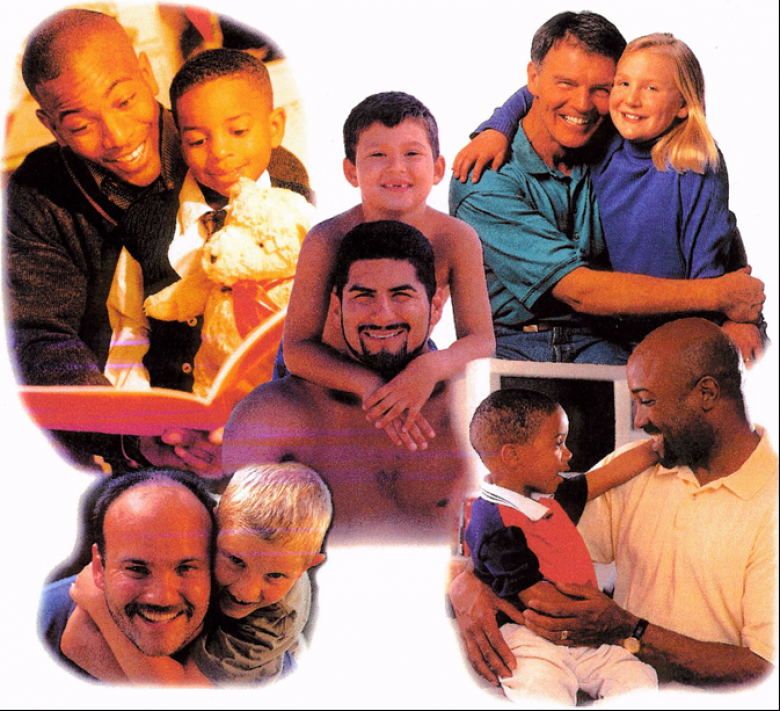 The term father should imply a close relationship with his children. Father is a term that hopefully stirs up images of affection and strength. As I have shared in my previous blogs, father is also a name under attack! I understand that some reading this may not care much for the term father. Perhaps the one they knew was abusive, neglectful, or abandoned them. There is little I can offer in the way of comfort for this tragedy, but we can and must learn to walk in forgiveness, as well as to seek to redeem the title. God is our Father and He is perfect, regardless of how our earthly fathers may have disappointed or hurt us. God wants us to be different from those that may have failed us, and we certainly do not want to repeat the failure! 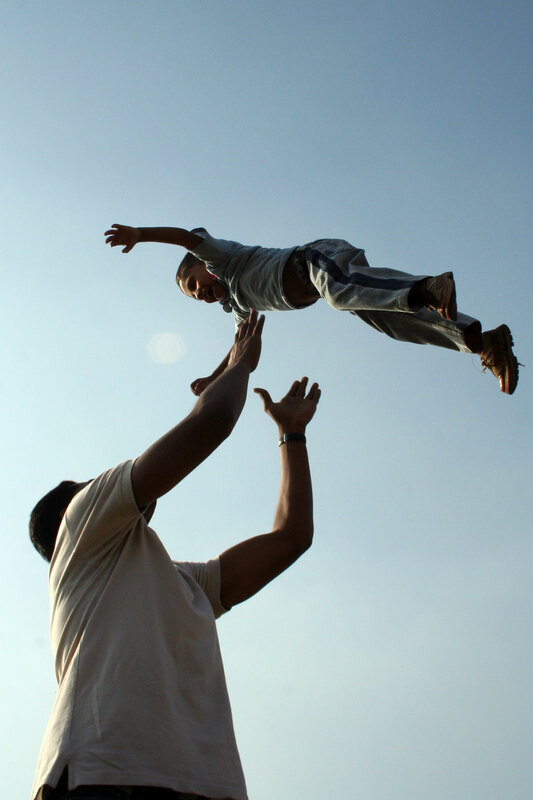 As we consider this subject of fatherhood, the question arises as to what we are supposed to be doing as fathers. Most do a pretty good job of bringing home a paycheck, and hopefully after you read my last blog entry, you are learning how to understand your wife a little bit better. But what else should we be attempting to do to make a difference in the next generation? There are multitudes of verses that address this topic and I cannot possibly cover them all. Most of the verses from Deuteronomy 6, Proverbs, and the New Testament letters, speak of two main points – involvement and diligence. While it is hard to nail down, studies show that the average father does not spend much time in personal interaction with his children, especially during the workweek. Some say as little as 1 minute a day and others up to 2 hours. The issue to me is not so much how much, but that we are spending time together investing in the relationship. Having three children over the age of 30 that still talk to me, and want to be around me, is a blessing! We attempted to spend time together as a family and often forsook other distractions so we could. We certainly were not perfect, but being together was a priority. Is it in your home? Do you enjoy being with your wife and children? Jobs come and go and so do buddies, your children will be your children for life. Which ones get the most time and attention? Other studies indicate that rarely in assisted living and nursing homes do the occupants wish they had spent more time at work or playing golf. What they regret is not spending enough time with their family. If your children are still at home, you have time to change! Please do not waste it. The other issue I mentioned was diligence. God delegated the raising of our children to us and He expects us to do something with it. We cannot righteously give this task to someone else. Others may assist us, but they cannot replace us. We are the ones that God expects to train, discipline, and disciple our children. We must spend time with them and we must be diligent in our efforts to fulfill this God-given task. Both of these familiar passages are addressed to fathers and both challenge us to not provoke our children. I guess that means we can provoke them by what we do or do not do. If we neglect them, abuse them, or abandon them, then certainly we will provoke them. Most of those reading this blog are not in that category, so how do we provoke them then? There are many ways we can bring our children to frustration. We can consistently be inconsistent in our expectations. One day we demand a certain type of behavior and the next day we overlook it. We can set unrealistic expectations of perfection for our children. A three year old is not fifteen, and a fifteen year old is not thirty. We can lie to them by making them promises that we never keep. We can be hateful and nasty to their mother. We can live as a hypocrite. We can ignore them unless we are mad at them for not doing something. We can ignore their need for discussion and understanding. If we try real hard, I bet we could enlarge this list by personal evaluation of our own behaviors. Children are extremely impressionable and we must be careful. I still remember talking to my father-in-law about his father. Jack was over 80 at the time and was still crying over his father’s neglect. We say things like, “Children are tough, they adapt easily.” Do they? Talk to anyone over the age of 60 and I bet they could still tell you of hurts, wounds, and disappointments from their childhood. Children will go on, they will forgive, but they will often carry the scars for life. For this blog, I want us to consider two things. First, are we involved enough with our family? Do we know well the condition of our flock? Are we spending time with them, not sitting around watching TV or playing video games, but talking, sharing, and listening to them? Are they really more important than our job, friends, or personal desires? Perhaps if you are brave, ask your wife or older children what they think about this question. You might be surprised. Second, do we really understand what God expects from us as fathers? Have we searched out the Scripture to see God’s job description? Are we attempting to be diligent, not perfect, but involved and consistent? Have we delegated a way our responsibility to someone else? Pastors, Sunday School teachers, education professionals, and others may all play a part, but God holds you and me responsible for those under our care. Are we involved and are we diligent? Will we be? If not, why not? If you have messed up, and who hasn’t? There is always hope. Ask for forgiveness, and ruthlessly evaluate your schedule. Change often comes slowly, but it won’t ever come if we don’t see the need for it. Thank-you for the blog post. Very well-spoken. Please check out our website. We’d love to hear from you. Blessings in Messiah! ← Fatherhood Series – Love Your Wife Part 2- What in the World Does She Mean?